Does it matter how long you sit — if you are fit? More and more studies confirm that sitting is bad for our health, increasing the likelihood of developing cardiovascular disease and other lifestyle-related illnesses such as diabetes. Some studies have estimated that being sedentary kills as many people as smoking. But how does being fit affect the health risk associated with a sedentary lifestyle, especially in older adults, who are the most likely to be sedentary? The NTNU researchers found that older women and men in the most sedentary group were correspondingly 83% and 63% more likely to have risk factors for cardiovascular disease compared to women and men who were least sedentary. "Our Western lifestyles necessarily involve a lot of sitting, and we spend more and more time sitting on average as we age," said Silvana Sandbakk, first author of the study. "But our findings show that being fit plays an important part in successful ageing and may lend protection against the negative health effects of being sedentary." The NTNU research was conducted as a part of a larger study called Generation 100, a five-year-long randomized controlled clinical trial that began in 2012 to see whether exercise leads to longevity and more active and healthy years in the elderly. A cardiovascular risk factor cluster was defined as the presence of three of five risk factors for cardiovascular disease, including elevated waist circumference; elevated blood triglycerides or reduced "good" cholesterol levels or being treated for these; elevated blood pressure or treatment for hypertension; and elevated fasting blood sugar levels (or being treated for diabetes). These symptoms combined are commonly referred to as metabolic syndrome. Conversely, meeting physical activity guidelines on its own did not seem to be enough to eliminate the cardiovascular risk associated with sedentary behavior if people didn't have a certain level of cardiorespiratory fitness, the researchers found. Nevertheless, there is little doubt about the benefits of regular physical activity, even amounts below public recommendations, Sandbakk said. 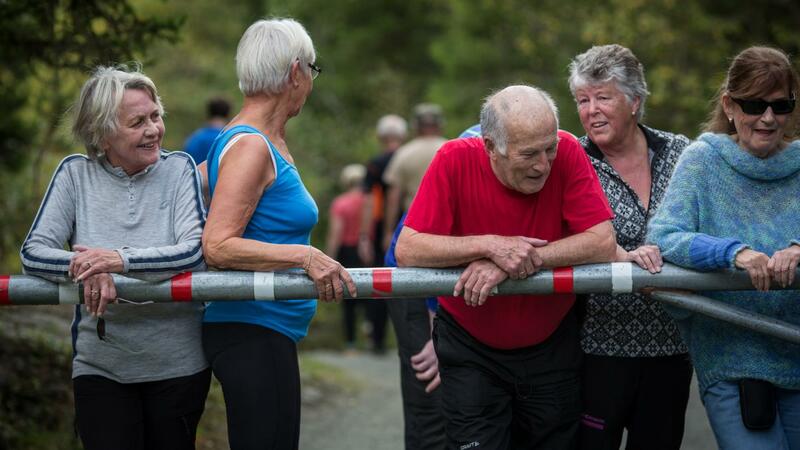 "However, it seems that fitness makes a difference for this age group and while we wait for more evidence, some physical activity in elders that improves fitness will go a long way," Sandbakk said.